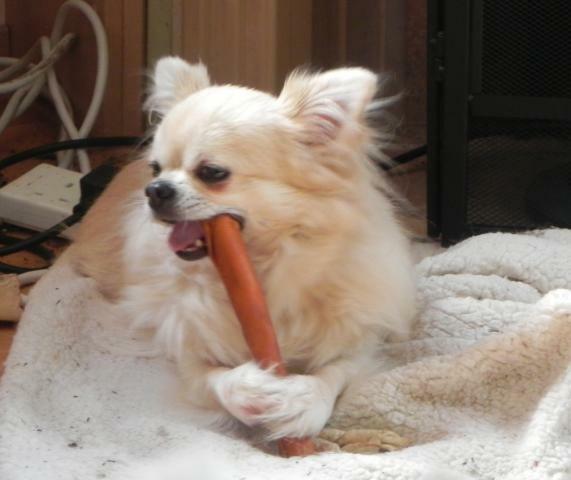 Mr D'Arcy enjoying his chew! We think he looks cute! I think you will know about it if you try and remove his chew. He looks firmly attached!